When it comes to ICT, Geographic Information Systems (GIS) is a specialist area. Its design, implementation and on-going support & management requires a level of knowledge and expertise that goes beyond that required to support the standard office IT environment. As GIS becomes more and more far reaching, accessible and easier to use, the role of the GIS professional is fast evolving from one that was/is seen as part of the IT department, to one that is now being seen as part of the decision making processes within the organisation. This means that the underlying GIS infrastructures and environments are back in the hands of ICT professionals to maintain, support and manage. As a result the demand for GIS outsourcing and managed services has grown considerably in the last 5 years. At Esri Ireland we are addressing this demand. We now have a number of formal GIS Managed Service Offerings that we have developed as a natural evolution of the business we are currently doing with a number of our customers here in Ireland. 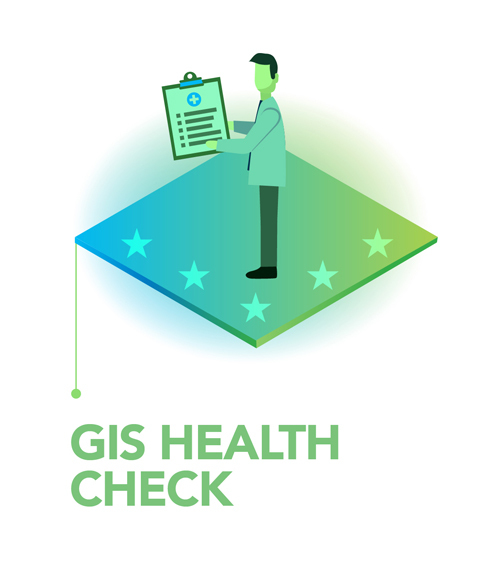 Our GIS Health Check service helps ensure the well-being of your GIS. It is aimed at customers who require reassurance that their ArcGIS Enterprise environment is in good working order, configured and optimised for best performance. The service provides our managed service team, supported by our professional services team, to work with your IT and GIS teams to assess your ArcGIS Enterprise environment. Our Proactive Monitoring service is provided as a hosted system monitoring platform that will remotely monitor your GIS environment, ensuring it operates efficiently and effectively. Its comprehensive capabilities are uniquely tailored to work with Esri ArcGIS technology, and can fit into any organisation’s existing monitoring ecosystem. In addition, it monitors both software and infrastructure components of an Esri Platform implementation. With this service we will provide, on a monthly basis, non-intrusive monitoring, alerts & notifications, metrics (analysis & retention), custom dashboards, and actionable reports and management level summaries. With our Managed GIS Applications service we will work closely with your infrastructure provider to manage and support your GIS applications environment. In this instance, we manage the day to day running of your GIS applications, so you can concentrate on deriving value from your investment. The service will include a service desk, issue investigation & problem management, along with application patching and data backup & recovery. Our proactive monitoring service is an integral part of this service and as such your GIS applications environment will be monitored with automated alerting and provide custom dashboards, reporting and management level summaries. With our Managed GIS Infrastructure, we will securely provision, monitor, and maintain your underlying ICT infrastructure (up to & including operating systems) required to support your GIS in the cloud. We have well established relationships with both Amazon (AWS) and Microsoft (Azure) and we can provision this service in either cloud platform as preference or cost might dictate. Using our Infrastructure as Code framework will can easily manage configurations and automate the provisioning of infrastructure and associated activities such as disaster recovery and scalability. Our GIS Managed Service is a secure end to end managed service for your GIS environment, hosted on premise or cloud based. This includes the provisioning, monitoring, management and support of the environment, including the management and support for infrastructure, applications, database, and other software and hardware components. It will be proactively monitored with automated alerting and provide custom dashboards, reporting and management level summaries. Using our Infrastructure as Code framework will can easily manage configurations and automate the provisioning of infrastructure and associated activities such as Release and Configuration Management, Disaster Recovery and Scalability. Essentially our GIS Managed Service encapsulates all of the previous four services into one complete and secure end-to-end managed service solution for our customers.